Home / Employment and Social Affairs / Brexit: a new reality before next EU elections? It is becoming more and more high the possibility to have a Brexit without an Agreement. The next few days will be decisive to define this situation, and to overcome this strange transition period, but the latest attempts in London seems that will not see better fortune rather than the previous ones failed in Westminster. In the absence of a Withdrawal Agreement, which would put in place a transition period until the end of 2020 (with the possibility of an extension foreseen in the Withdrawal agreement), the UK will be treated as a non-EU country for customs purposes as of 13 April 2019. Prime Minister Theresa May asked the European Union on Friday to delay Britain’s departure from the bloc for a second time, until June 30. She made a formal request in a letter to Donald Tusk. But a delate without an agreement will not represent more than just a pushback of the reality.“We are as ready as we can be,” the European Commissioner for Economy, Pierre Moscovici, told a press conference at the beginning of April.If there is no deal, the United Kingdom “will become the third country from one day to another,” the Commissioner explained, which will imply “a radical change” from a legal point of view. Moscovici argued that EU companies trading with the UK had to be ready for additional costs and bureaucracy as customs checks increased, while travellers would also be subject to more checks. Without a transitional period, as envisaged in the withdrawal agreement, or in an eventual definitive arrangement, EU trade relations with London will be governed by general World Trade Organizations rules. That’s why Moscovici highlighted that all the new framework “doesn’t exist today but would be introduced overnight”. 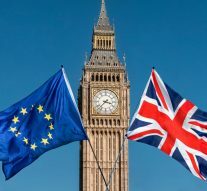 Namely, if there will not be an agreement for a new extension, from13th of April customs formalities between UK and EU will apply; customs duties will apply to goods entering the EU from the United Kingdom, without preferences. Prohibitions or restrictions may also apply to some goods entering the EU from the United Kingdom, which means that import or export licences might be required. Import and export licences issued by the United Kingdom will no longer be valid in the EU. Authorisations for customs simplifications or procedures issued by the United Kingdom will no longer be valid in the EU. Authorised Economic Operator authorisations issued by the United Kingdom will no longer be valid in the Union. Member States will charge VAT at importation of goods entering the EU from the United Kingdom. On the other hand, exports to the United Kingdom will be exempt from VAT. Movements of goods to the UK will require an export declaration. Movement of excise goods to the UK may also require an electronic administrative document (eAD). Movements of excise goods from the UK to the EU will have to be released from customs formalities before a movement under Excise Movement and Control System. All this normative framework will apply immediately if a no-deal scenario will become reality in the next few days. For the EU, national authorities also have a key role in monitoring and guiding industry preparations to a no deal scenario. On that basis, the Commission has held technical discussions with the EU27 Member States both on general issues of preparedness and on sectorial, legal and administrative preparedness steps. According to the EU Commission, around four million transport vehicles cross every year from Dover to Calais, that will be the main new border between UK and EU. And this situation, at the industrial heart of Europe, at the border between England and France, will create many problems first and foremost for the many enterprises directly affected. Furthermore, this tense situation is not just present at the border between UK and France. Many EU countries have already invested in building customs facilities and recruiting staff to handle a potential increase in checks: Germany has hired 900 new customs officers, France 700, Ireland 400 and Belgium more than 300.And one of the main problems is that until now it remains unclear how this process is going to work on the “new” border between Ireland and Northern Ireland. “Our common objective is to protect consumers and the Single Market without disrupting businesses,” explained Moscovici, whileanother big open issue is related to visa. European Union lawmakers say British citizens should be allowed to travel in Europe visa-free after Brexit but only freif the London grants the same right to EU citizens. The move permits would allow stays up to 90 days in any 180-day period but does not grant the right to work.Thus, what is sure is that Brexit without an agreement brings potentially devastating political and economic consequences. The main consequences will affect the UK and its economy, but also EU member states should not underestimate the impact of the new reality. Off course both the UK and the EU will loose a lot when it comes to exchanges, not just in economy and jobs but also on social and cultural aspects. In any case, even without a transition period, this would be the new reality at least without a surprising deal in London for a second referendum. But to be dragged in another extension and unclear period for the Eu maybe is even worse than facing right now the consequences, and that is why Brexit should be a reality before next European election in May. « Previous Article To Brexit or Not to, again?